The scope and scale of Midsummer Scream 2018 was truly impressive - though 'immense' might be a better word. It was perhaps not impossible to experience everything the two-day convention had to offer, but it would have taken more logistical planning and stamina than we could manage. In the upstairs section of the Long Beach Convention Center were round-the-clock films in the 'Screaming Room' and stage performances by Urban Death and Fallen Saints. The main stage featured presentations from the major Halloween Theme Park Attractions (Knotts Berry Farm Halloween Haunt, Halloween Horror Nights at Universal Studios Hollywood, Six Flags Magic Mountain Fright Fest), and Queen Mary Dark Harbor (pictured at top); meanwhile the smaller Theatre Macabre highlighted quirkier panels on niche subjects, such as Night of the Living Spook Shows (in which I participated). 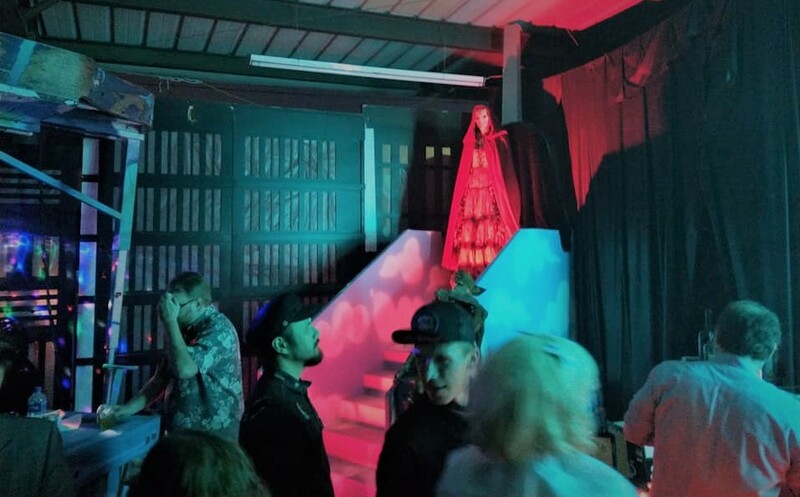 Downstairs featured an exhibitors room filled to the brim with ghoulish delights (masks, makeup, effects, artwork), along with the magnificent Hall of Shadows, containing over a dozen and a half mini-walk-through haunts and other spooky attractions. 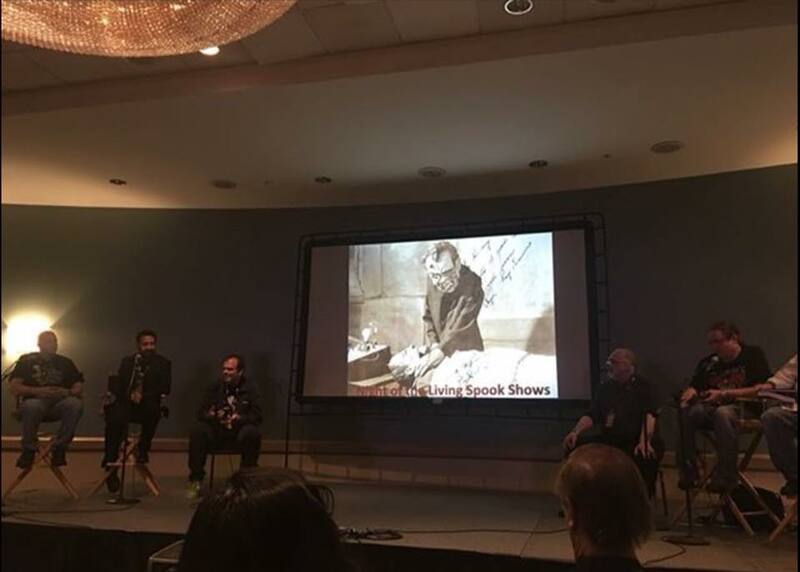 As a participant, I cannot objectively review the Spook Show panel, but I will say I learned a few things about this interesting phenomenon, such as the fact that the best shows were not necessarily the most successful - the cash-and-grab performers could turn a bigger profit, while those who went to the expense of putting on something more spectacular could find their ledgers dipping into red ink. Highlights included clips from Jeff Markin's upcoming documentary The Return of the Midnight Spook Show and Robert Reynoso's in-costume performance depicting a favorite trick used in these shows, the chalk board that manifests "spirit writing." And of course writer David Lucarelli and actor David M Beach discussed details of their recent revival of the spook show format, Doctor Zomba’s Ghost Show of Terror (reviewed here), which will be returning to Los Angeles in October (with, we are promised, a gorier climax featuring the mechanical "Mutilator" device). For us, the highlight of this year's Midsummer Scream was the Hall of Shadows. Although we appreciate the chance to preview this year's upcoming Halloween haunts, an event like Midsummer Scream is going to be, at least to some extent, a promotional opportunity for major attractions to extol their upcoming events, and we have a limited appetite for advance hype; for us, the proof is in the pudding, not in the promises. 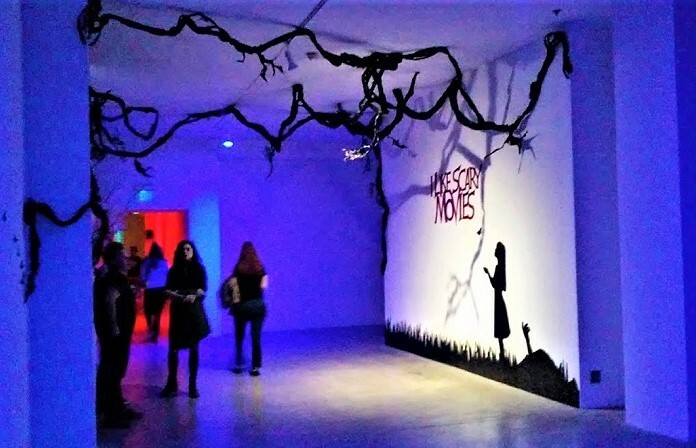 (We did not attend last year's panel on Halloween Horror Nights, but we seriously doubt that anyone from Universal Studios Hollywood announced that their mazes would feature more empty black panel hallways in order to recreate the feel of a haunt-in-a-box.) Far more gratifying was the chance to sample treats from the Hall of Shadows' eclectic smorgasbord of home haunts and displays. We were familiar with many of the attractions: Spooky Hollows, Trick 'r Treat by Murder House Productions, Wicked Pumpkin Hollow, and one of the Magic Mountain Fright Fest scare zones. These were abbreviated "preview" versions, and we were concerned about whether they would be worth the wait in line; however, it is a rare opportunity to have access to so many entertaining haunts within a few yards of each other - after the logistical nightmares of trying to attend as many haunts as possible every October, this was like a pleasant nightmare come true. It was also nice to experience haunts from outside Los Angeles, such as Camp Calavera by Scareventures (from San Diego) and the Bloodshed Brothers' somewhat grizzlier Hyde Street Massacre (from Temecula). Our favorite tidbit of information was gleaned outside the gate of Spooky Hollows: without enough time to paint a new full-sized background mural for this Halloween, the proprietor photo-shopped an image on his computer in a couple hours and projected it onto a screen. Modern technology saves the day! It would be hard to select a favorite discovery from this year's selection of haunted walk-throughs, but it is worth noting that the Opeechee Haunt offered a "Donnie Dark Experience Fan Tribute" that was considerably scarier than the lighthearted yard display from Halloween 2017. We enjoyed the Castle Frankenstein Portal Experience presented by Cal Haunts, and we were impressed by the colorful Shattered Realm, which offered a change of pace from the other walk-throughs: instead of using darkness to hide jump-scares, this home haunt featured slightly brighter lighting to showcase interaction between the characters and the props, forming a handful of creepy vignettes, including one bit with a clearly under-qualified handyman doing some akin to an autopsy on a corpses eye sockets. 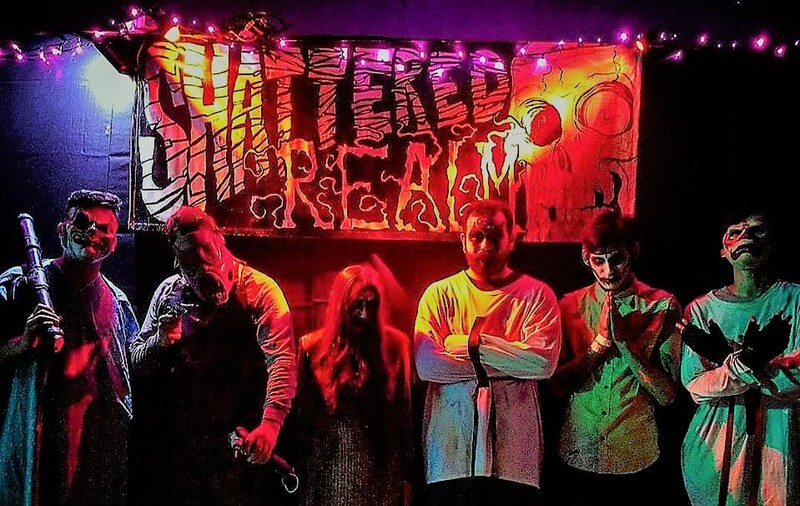 Shattered Realm is located in La Verne, not too far from the Pomona Fairplex. You can learn more at their Facebook page. Impressive in scope and scale, this Halloween Horror convention offered more than enough panels, presentations, exhibitors, and attractions to satisfy fans. ← Boney Island returning for Halloween 2018!